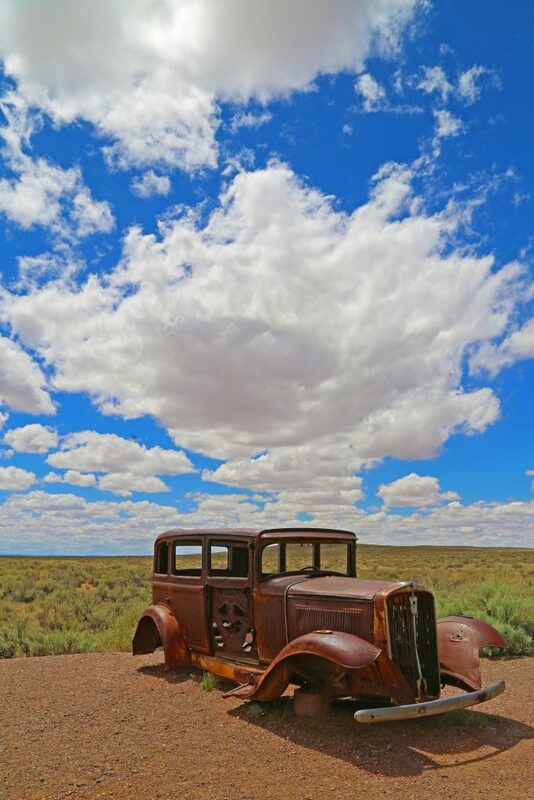 Check out our top things to do in Petrified Forest National Park! This Arizona park is well worth visiting and a great driving park. The park is a lot bigger than you may expect so give yourself plenty of time to drive through the park and take walks/hikes at different viewpoints. Petrified Forest National Park is one of three designated U.S. National Parks in Arizona. It is also an extremely easy park to visit! The Park is located off Interstate 40 and is 1 hour and forty-five minutes East of Flagstaff, Arizona and three hours West of Albuquerque, New Mexico. From here you can take the park’s main road that goes 28 miles through the heart of the park with several pullouts and vistas along the way. Once you have finished the road you can simply return the way you came and see more sights or take Highway 180 North back to Interstate 40 at Holbrook. Now it’s time for my seven things to do in Petrified Forest National Park! There is a short paved trail that leads to an overlook to view the spectacular Newspaper Rock. 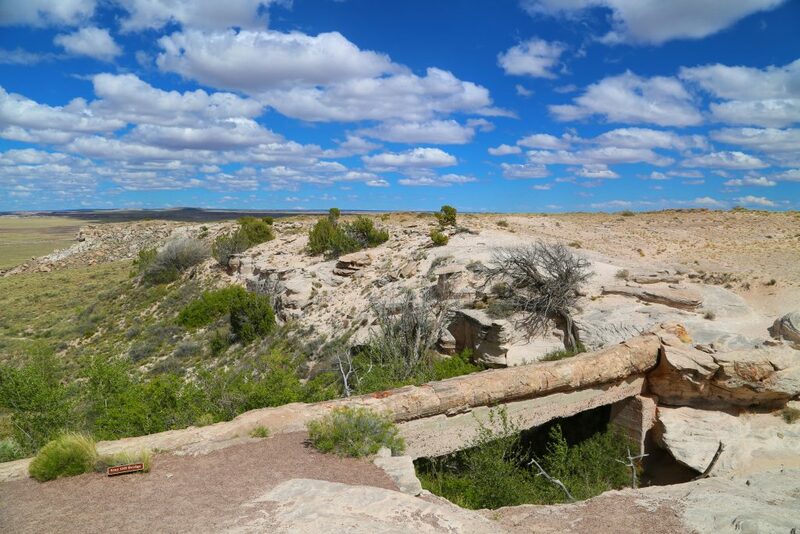 This aptly named site has over 650 petroglyphs, some dating back over 2000 years! Remember to stay on the trail as the Park Service is dedicated to preserving this site. I used a 100-400mm lens to take this photo and will get you the photo you desire without getting yourself in trouble. A funny thing happened with the photo pictured above. 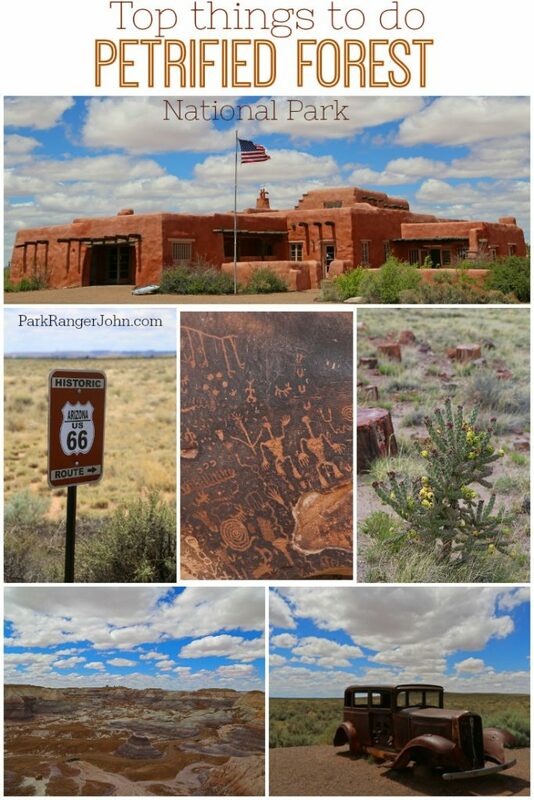 I posted it on my Instagram Page – @ParkRangerJohn last year when we took our trip to Petrified Forest National Park. I received a call from a Petrified Forest NP Ranger accusing me of going off trails and breaking the law, he told me I should know better as a Park Ranger than breaking the rules. I had to gently inform him that I took the above picture from the lookout with a telephoto lens. Not sure if he believed me or not but I can say that I have been yelled at by a Park Ranger. Not something I planned on but still made me giggle a bit as a Park Ranger myself. 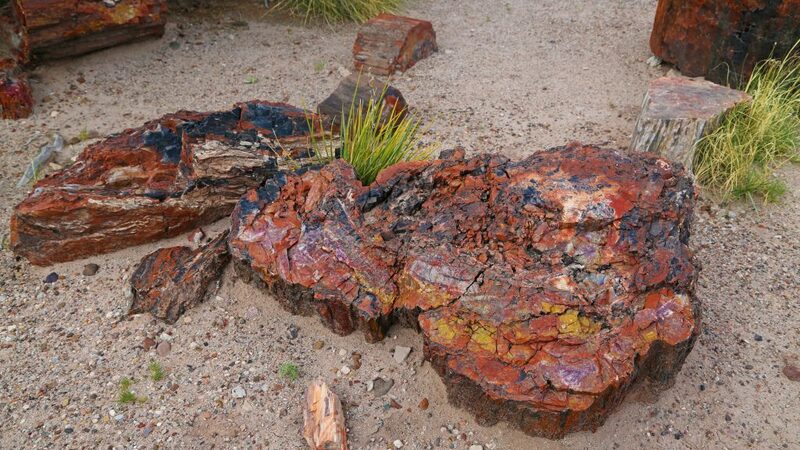 Everyone wants to see petrified wood when they come to Petrified Forest. My favorite trail to get up close is the Giant Logs Trail right at the Rainbow Forest Museum. This short 4/10-mile trail will leave you amazed by the massive logs left including “Old Faithful” which is almost ten feet across at the base! If you are wanting more then take the Long Logs Trail too. It’s a 1.6-mile loop with some logs over 180 feet long. As a Park Ranger, I have seen a dramatic increase in Geocaching. It makes me happy to see this activity brings more families out to the parks and actually providing them with an educational experience! Petrified Forest has both traditional Geocaching as well as Earthcache. There is no physical geocache involved in earth cache, instead, they provide an educational opportunity at the set coordinates. Click Here for more information about geocaching in Petrified Forest. Blue Mesa has a 3.5-mile loop road with a 1-mile loop trail. The views are stunning with the bluish bentonite clay of the badland hills. 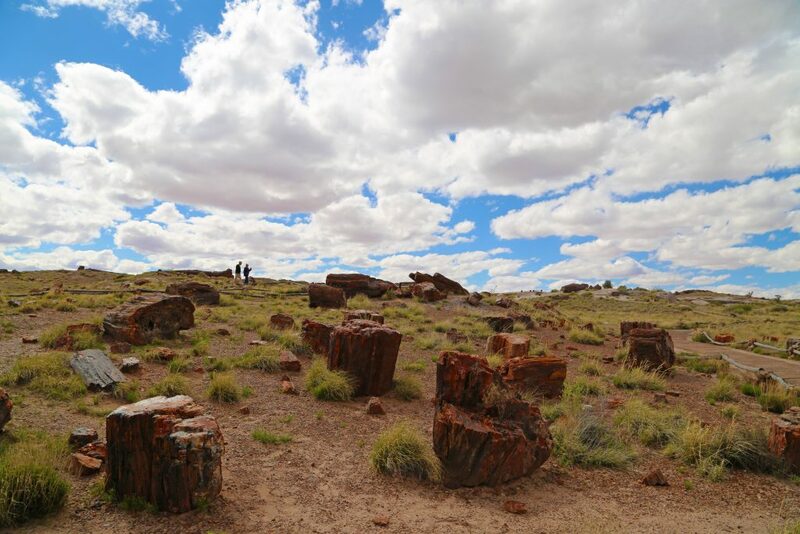 There is also petrified wood scattered throughout the area to add to the areas already jaw-dropping scenery. This is an area not to be missed! 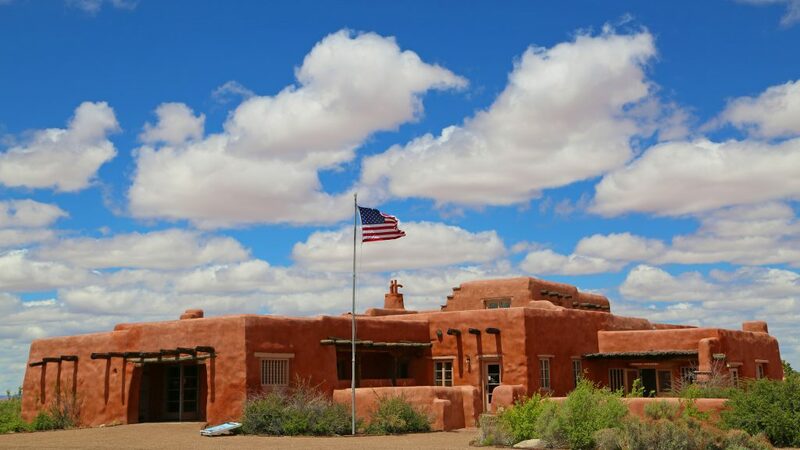 The Painted Desert Inn is a National Historic Landmark and was originally built in the 1920’s. It was originally called the Stone Treehouse as it was built out of petrified wood. In the 1930’s the Stone Treehouse underwent renovation to today adobe-style construction. The Inn now serves as a museum telling the stories of the Inn, Historic Route 66 and the Civilian Conservation Corps (CCC). Check out one of the Cultural Demonstrator programs where local artisans share their history and traditional crafts with park visitors. Click Here for a calendar when demonstrations will be held at the Painted Desert Inn. The Agate bridge is an 110’ petrified log bridge! This stone log remained while centuries of erosion washed away the softer sandstone underneath this massive log. 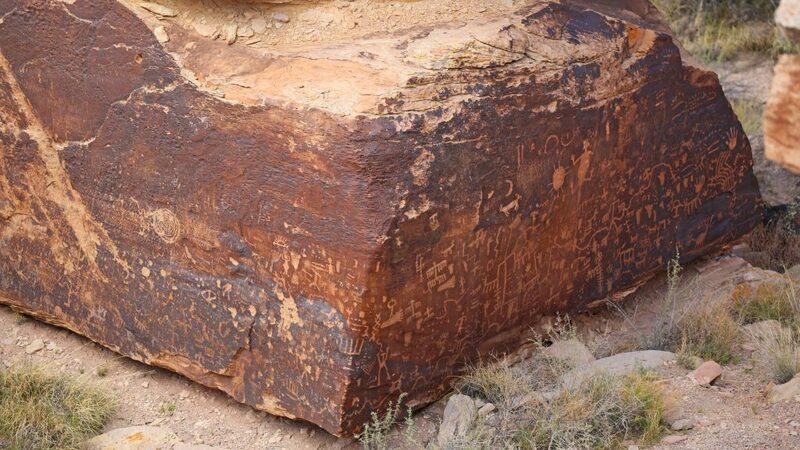 People fascinated with this log worked hard to preserve it thus creating Petrified Forest National Monument in 1906. Conservationists added pillars in 1911 to support the log and in 1917 placed a concrete support underneath. 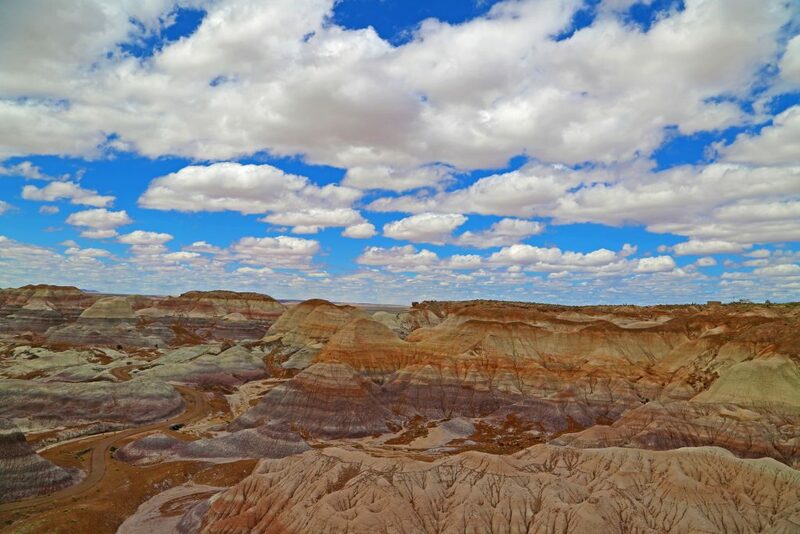 Now you have at least 7 things to do in Petrified Forest National Park. What else will you find? I guarantee that you can find plenty to do in Petrified Forest National Park. If you live in the area of the Petrified Forest National Park and own a horse then it can be a good location for some riding. You can spend a day riding in the park and making your way around the various attractions. It is also possible to camp overnight in the wilderness area and spending a day or two in the park with your horse can be a fun way to see some interesting sights. Have you seen our Beers inspired by US National Parks post? I have not been fortunate enough to see the petrified forest but it truly is beautiful. The pictures are breath-taking. 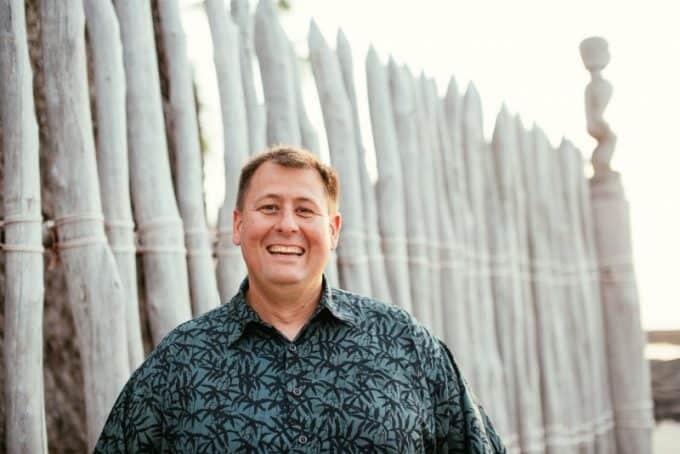 What better way to learn about a national park than from a park ranger? We are planning an RV trip out in that direction (probably early next year), so I’m saving this for when our real planning begins. Thanks for the ideas.